I have to admit. I’ll never be a film maker with the chops that allowed Spielberg to channel Lincoln, but if I was, this book would be the first adaptation I would make. And with fear and trembling I would make it. This stands as perhaps on of the most moving books I have ever read in my life. The revelatory shafts of light that continue to pour in through the walls of what turned out to be multiple concentration camps; the faith, the ability to not only forgive one’s enemy, but lead them to the very source that allows them to do so–is astounding. 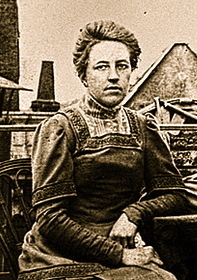 Corrie Ten Boom’s family was responsible for being the central hub of what could brazenly call an “Underground Railroad” for jews in Holland, against the Nazi regime. The day-to-day prayers, normalcies maintenance of civility in the midst of constant oppression is astounding. When a Jewish architect discovers that the watchmaker’s house had architectural peculiarities allowing for a secret compartment to be built and elude the Nazis, the Te Boom family begins to hide men, women, children, families, orphans . . . you name it. As one might guess, the game is ended when the ever-suspicious S.S. finds out, and ultimately imprisons them all at varying levels. Cory’s family ultimately escapes, leaving the remainder of the story to be told by the experiences of her sister, father and she. I don’t like giving away too much. And anyone can simply say this is a book about faith, and make a satisfactory case. One could say this book is based upon the central locale of the “hiding place” near the closet, and have some synoptic credibility. To me, this book is about something else: reunions. It should go without saying that the author lived through her personal ordeal in order to write the book. Not everyone saw that moment, and yet the loss of the ones she did have to part with ultimately figure into a bigger picture that only exists outside the material world. As one reads the book, one begins to see the parameters of life as limited–especially if any sense of justice or an “leveling of the score” is desired in purposeless world. It is only within a broader and larger property line of eternity that we see the true meaning behind the life–and deaths of those who held her faith up highest at the times where it would falter the easiest. One sees a Grand Weaver at work in the picture, where some of the toughest questions about suffering, forced nakedness and beatings are seen against the backdrop of a God who actually took those aspects himself at calvary. This entry was posted in Book reviews, Books, Faith and tagged Disney. 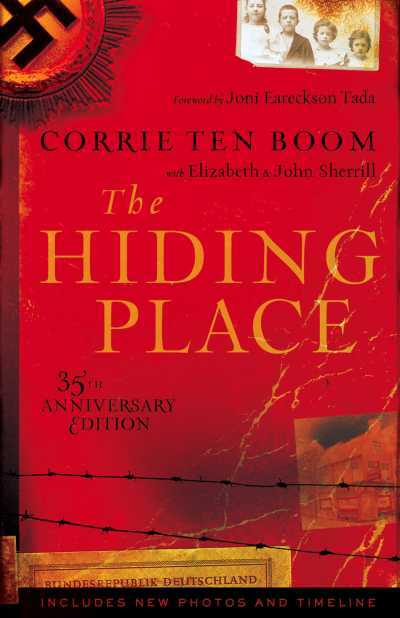 Corrie Ten Boom, Germany, holocaust, the hiding place. Bookmark the permalink. Definitely! Read it at pretty impressionable age, and I’m still in awe of it. I think I need to start a “need to re-read” shelf on goodreads sometime (for when I’m unsure what new book to read), and this will most certainly make the list. Ah-mazing woman and story! Great review. I posted on this book last week and I can’t get away from the thought that forgiving one’s enemies is true freedom.